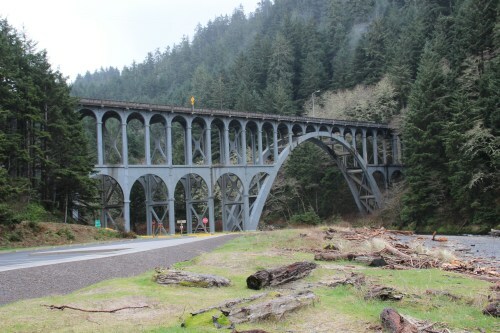 Hwy 101 mile marker 178. 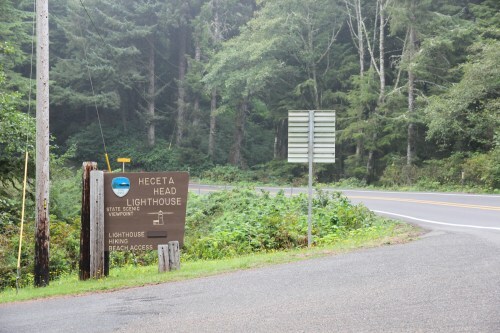 Heceta Head Lighthouse was lit in 1894 and is one of the few Oregon lighthouses that has a first-order fresnel lens. The lens remains lit today. Tours of the lighthouse are available from May through September, and - on a shorter basis - in March, April, and October. There is also a gift shop. 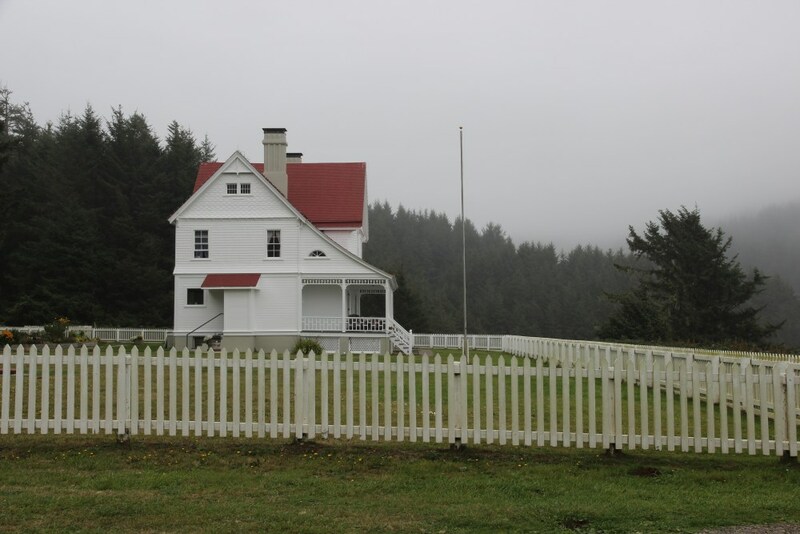 Site Resources: lighthouse (with tours), bed and breakfast, gift shop, picnic tables, restroom. 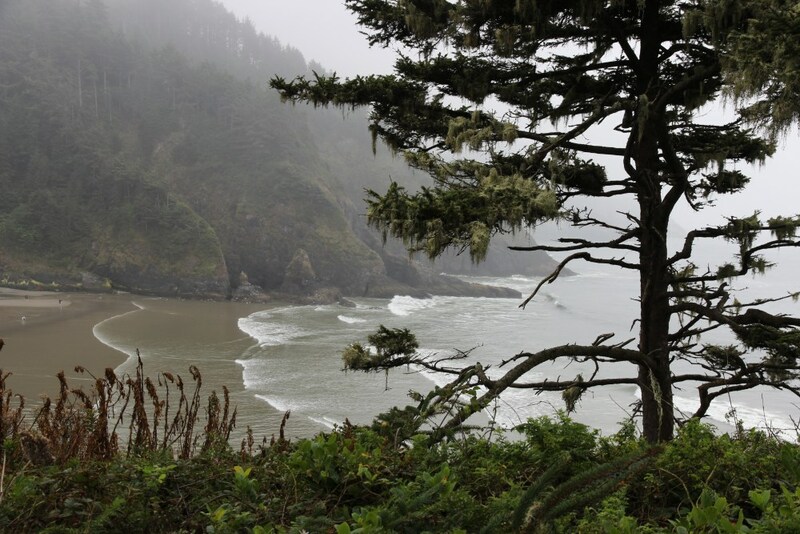 The parking lot for Heceta Head is right on the beach itself. The lighthouse is reached by way of a relatively short hike. The lighthouse keeper's quarters, which was restored (starting in 1978) to its original condition. 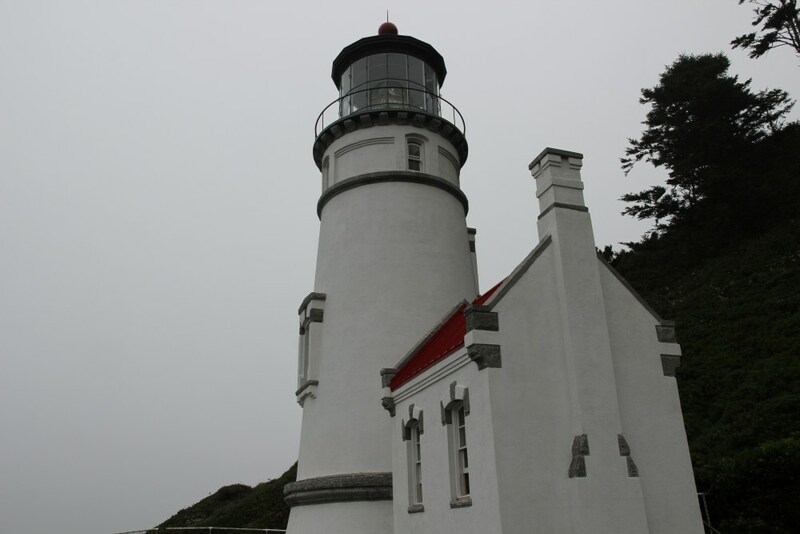 The lighthouse and keeper's quarters are on a high promonatory, 200 feet above the beach.